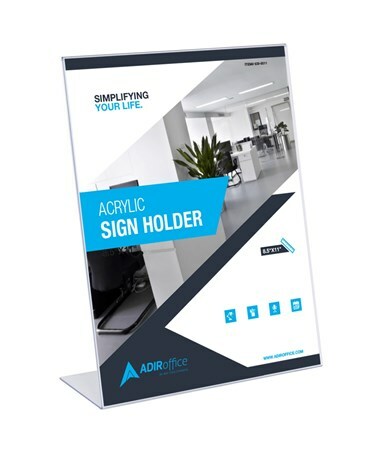 The AdirOffice Slanted Side-Loading Sign Holder is the best frame perfect for displaying photographs and art in a minimalist style. It can hold documents that are either 5 x 7 or 8.5 x 11 inches in portrait size. 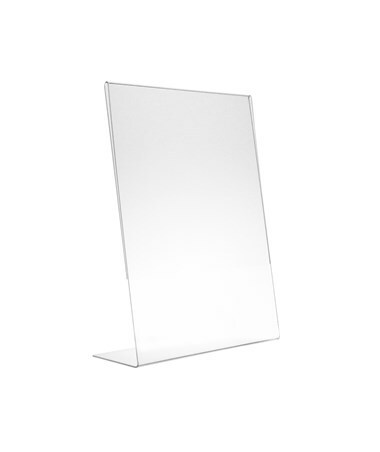 It is made of premium transparent acrylic, making it durable. 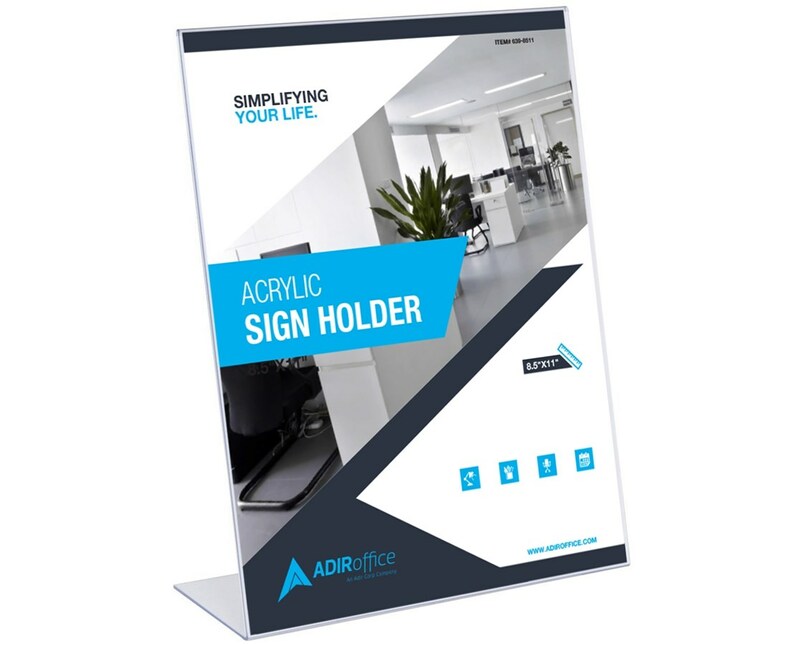 Also, this Adir sign holder has a reinforced base to support the angle of the mainframe. As an additional feature, its side-loading design can make switching out of photos and posters easy. 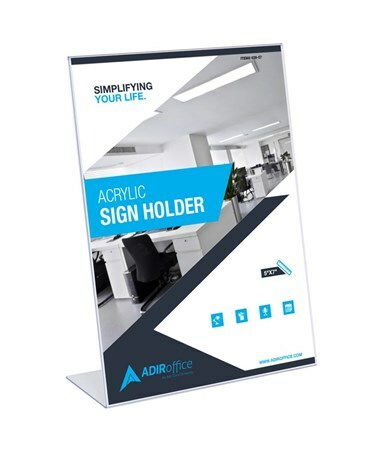 The AdirOffice Slanted Side-Loading Sign Holder is available in different sizes and quantity packs. Please select your preference from the menus above. Dimensions: 5" x 7" or 8.5" X 11"